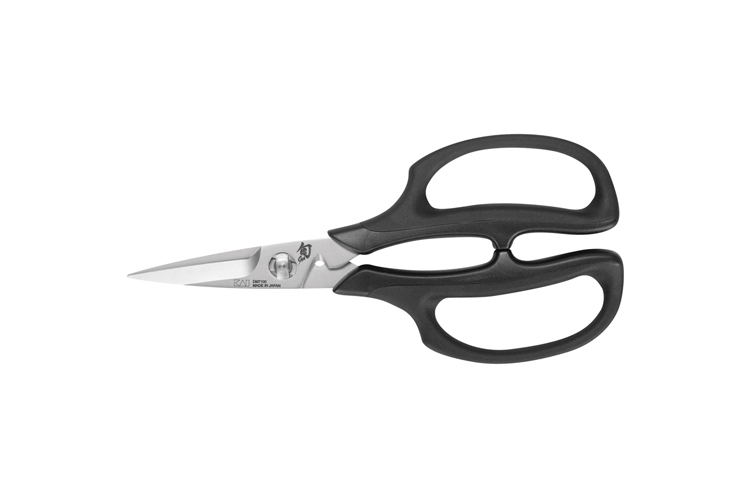 These herb shears from Shun have incredibly sharp 16° cutting edges that cut cleanly and will not bruise delicate herbs. They have a built-in notch blade for stripping herbs and cutting stems. The blades are forged from high-carbon, molybdenum-vanadium, stainless-steel that ensure extra-long life. The ergonomic grip is padded with elastomer plastic designed for maximum comfort whether the user is right- or left-handed. The blades separate for easy cleaning, and the interlocking screw allows you to adjust the tension to your preference.